De l’intrusif au dépôt en utilisant la géophysique. 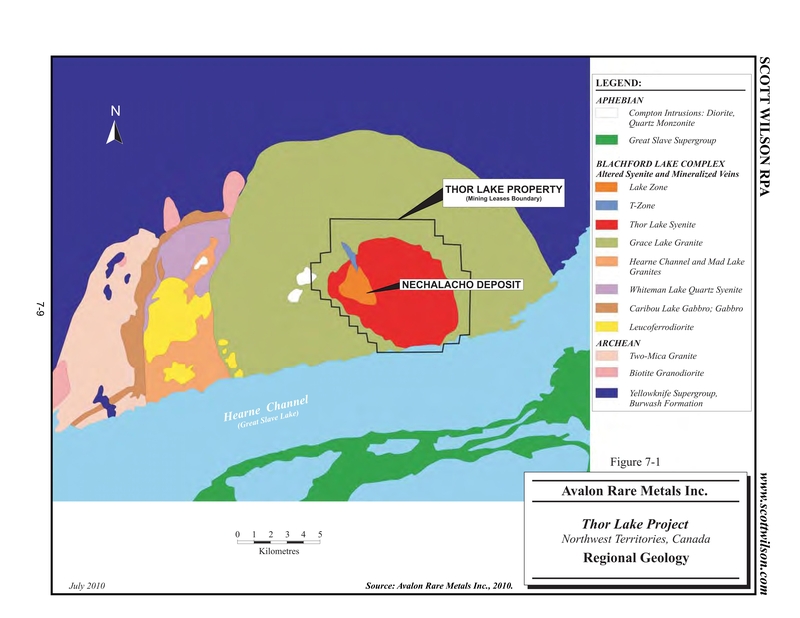 Thor Lake is a large (179.3Mt) rare earth metals deposit located in the Northwest Territories. The deposit is associated with a carbonatite complex. 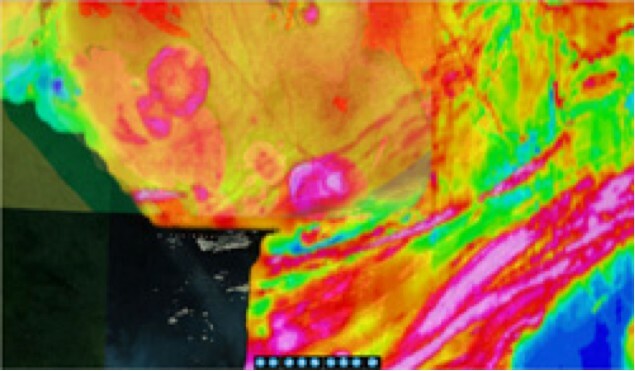 Spectrometric measurements of Uranium and Thorium were performed to trace the carbonatite. Many carbonatite complexes are surrounded by mafic alkaline rocks. They often show up as a magnetic bull’s eye combined with a gravity low, and ringed by a gravity high. The Thor Lake deposit is located under the circular magnetic anomaly in the centre of image. At Thor Lake, detailed follow up exploration lead to the discovery of rare earth elements associated with this carbonatite.